Matt's position focuses on him spending the majority of his time in a client concierge role. 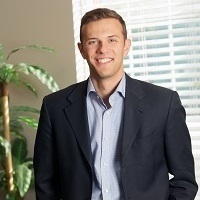 From assisting with scheduling meetings, gathering paperwork, educating clients on the firms software, Matt plays a vital role in ensuring that client's meetings are as successful and productive as possible. Matt also assists with prospecting/marketing to potential local company's who want to discuss utilizing The Affinity Group to assist with their company's retirement plan. In his time away from the office, Matt seizes any opportunity to hang out with friends, go skiing, and many other outdoor activities.